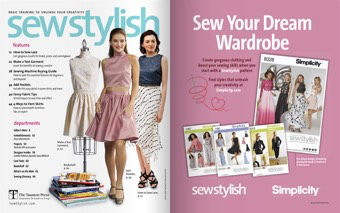 Simple patternwork turns a basic sleeve into a high-style, shaped version. 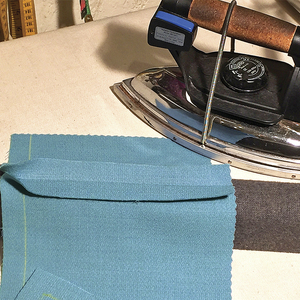 The lantern sleeve is a classic vintage design feature, but it can also take on a modern flair. 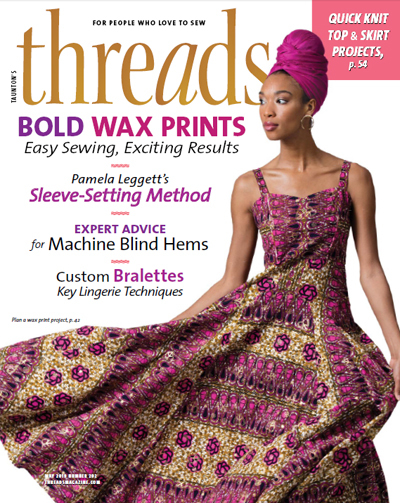 Here’s how to make a three-quarter-length lantern sleeve, as an online bonus to the article “Sleeve Medley,” by Andrea Schewe, in Threads #196 (April/May 2018). 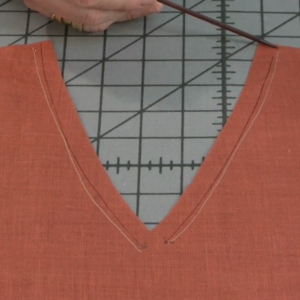 Start with a straight or slightly tapered one-piece sleeve pattern, and follow the steps to add controlled volume. 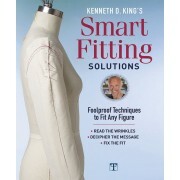 Try the design in fabrics with plenty of body for the most sculptural effect. 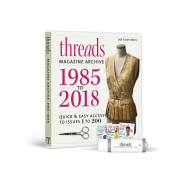 Find out more about basic sleeve styles here. 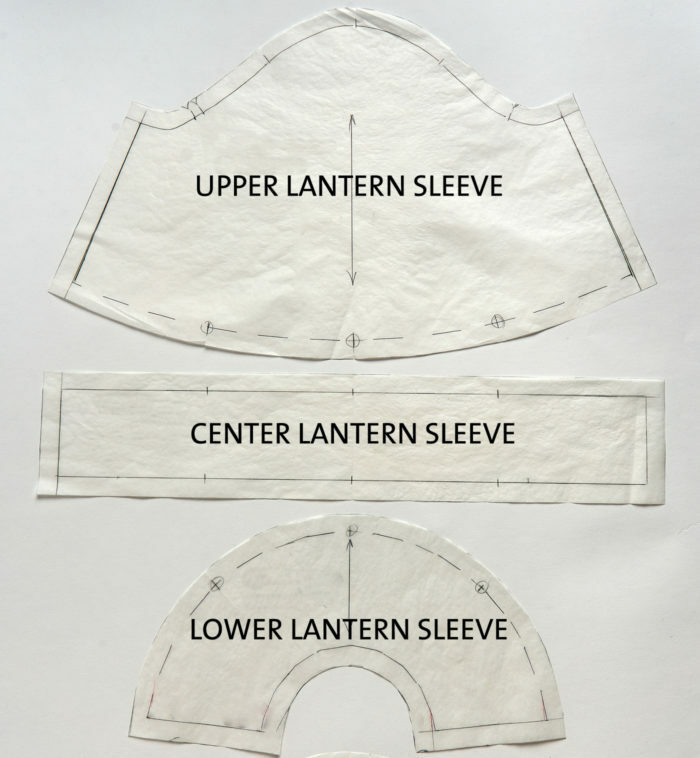 Before making the lantern sleeve, be sure your pattern fits properly. 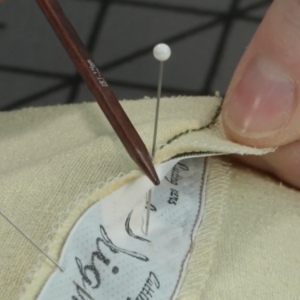 Learn three ways to adjust the fit. 1. 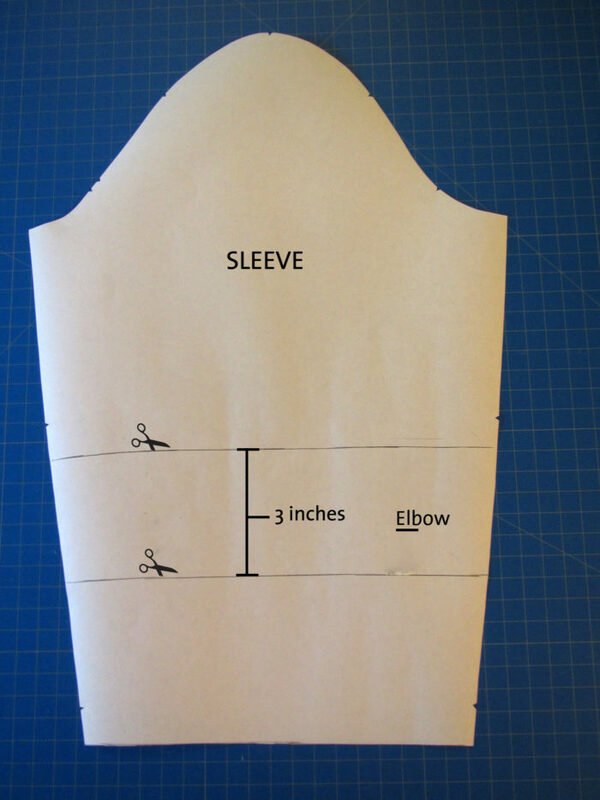 Shorten the sleeve. 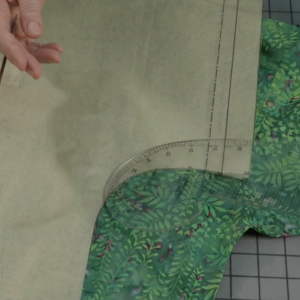 This is a three-quarter-length sleeve. 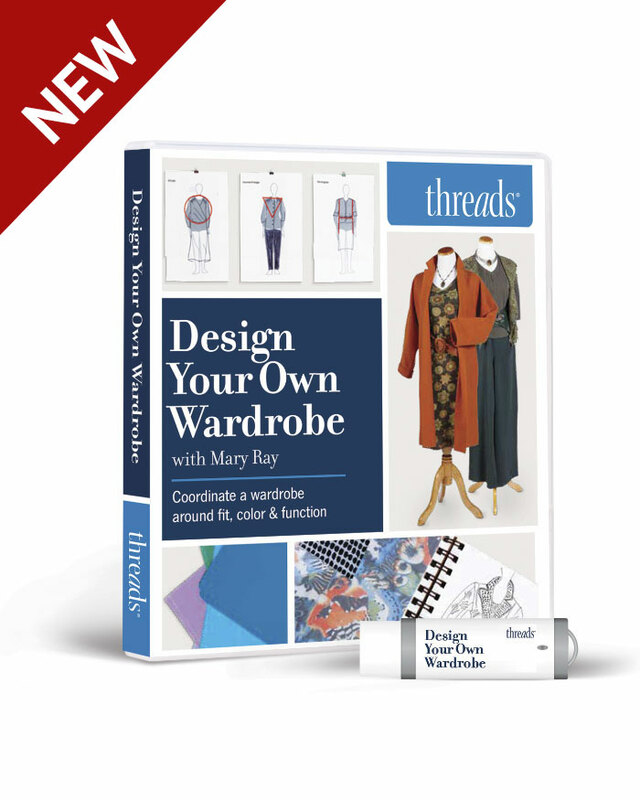 Draw a line 4 inches above and parallel to the hemline. Cut off and discard the lower portion. 2. 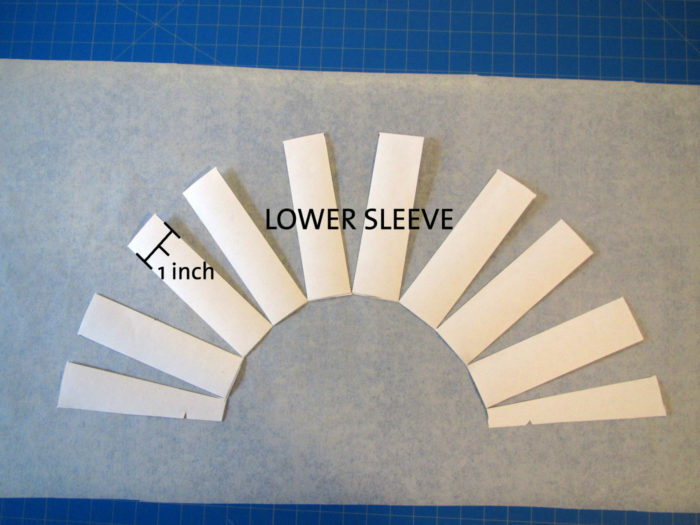 Divide the sleeve horizontally. 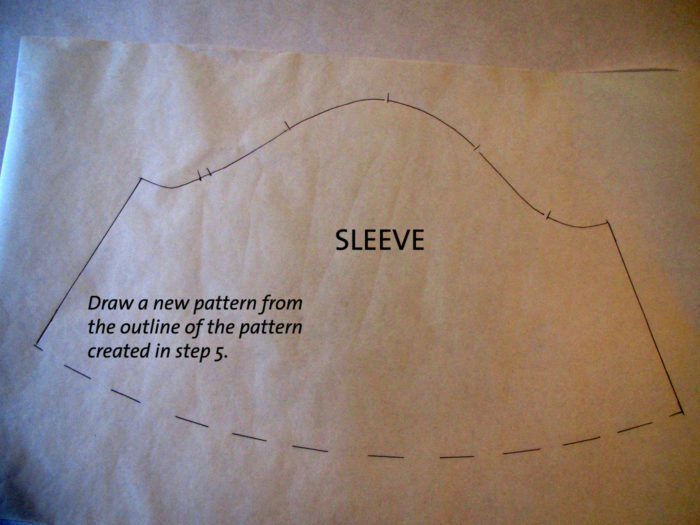 Find the elbow point and draw two lines across the sleeve, perpendicular to the grainline. 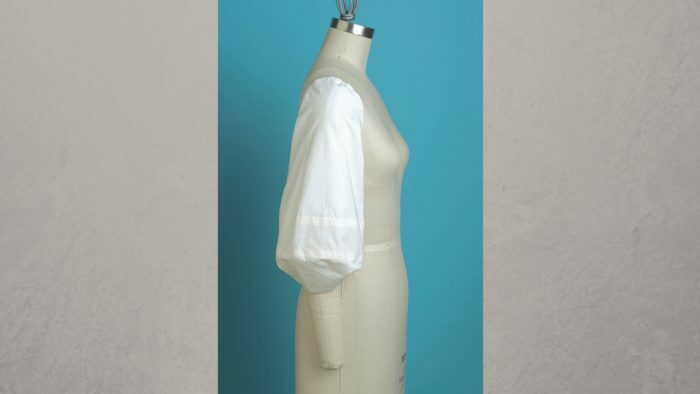 Place one 2 inches above the elbow level and the other 1 inch below. 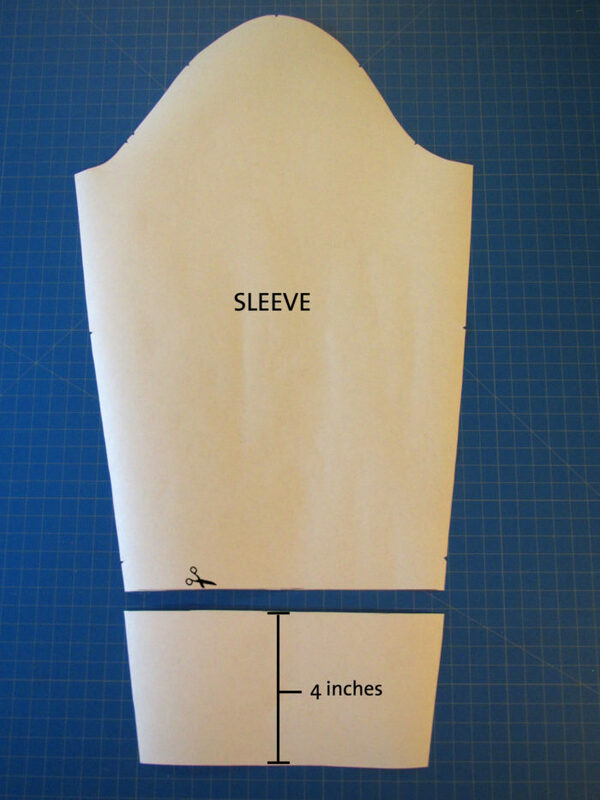 Cut the sleeve into 3 sections along these lines. Discard the center band. 3. Determine the desired sleeve circumference. 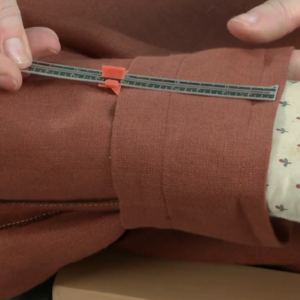 Encircle the elbow with a measuring tape to decide. The sample sleeve is 20 inches around. 4. 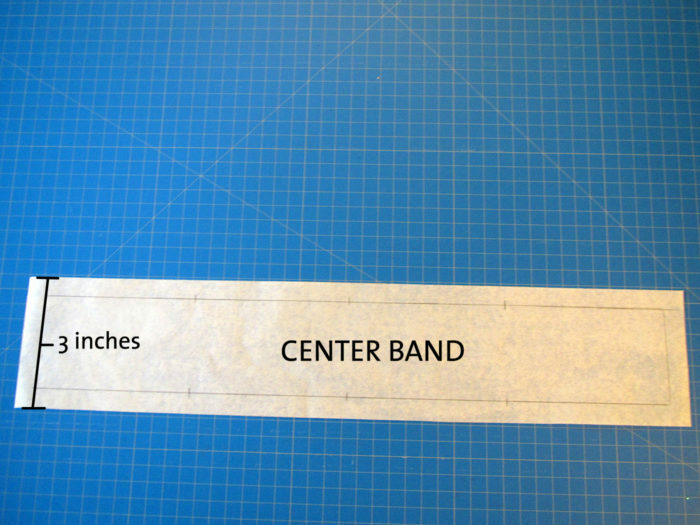 Draft the center band. Draw a rectangle 3 inches high by the chosen circumference. Set aside. 5. Expand the upper sleeve. 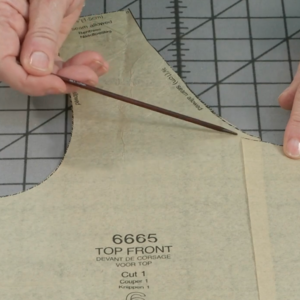 On the sleeve’s upper portion, draw a line down the center, parallel to the grainline. 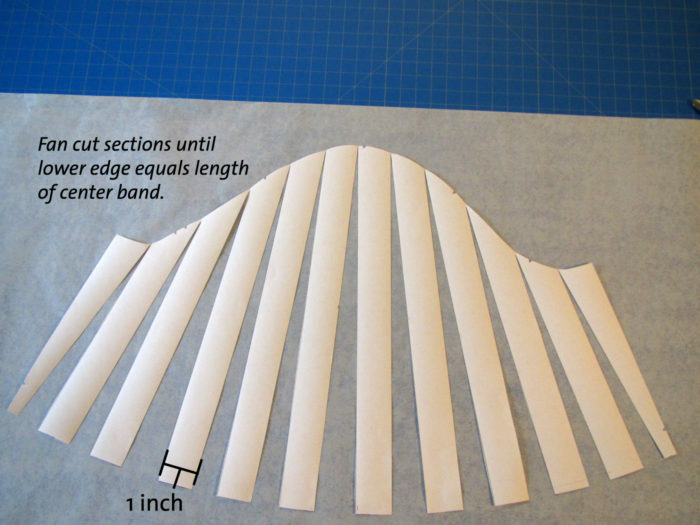 Then draw parallel lines on each side, at 1-inch intervals. 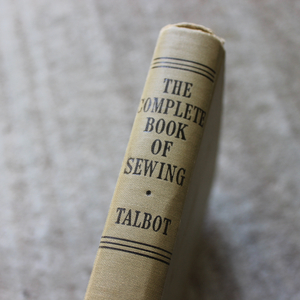 Cut along the lines from the bottom to the armscye edge, leaving a small hinge. Fan the sections equally until the lower edge equals the length of the center band. 6. Draw the upper pattern. 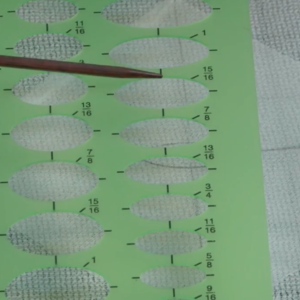 On a sheet of pattern paper, draw a line around the outer edge of all the pieces. Remove the pieces and set the new pattern aside. 7. Expand the lower sleeve. 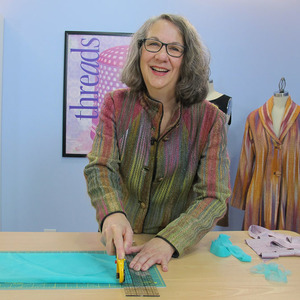 On the sleeve’s lower portion, draw a line down the center, parallel to the grainline. 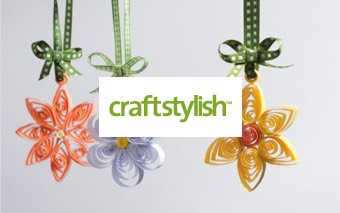 Then draw parallel lines on each side, at 1-inch intervals. 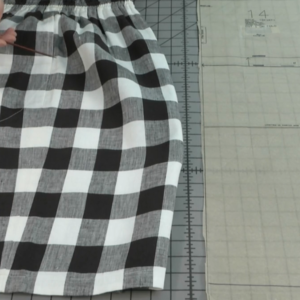 Cut along the lines from the top to the hem edge, leaving a small hinge. Fan the sections equally until the upper edge equals the length of the center band. 8. Draw the lower pattern. 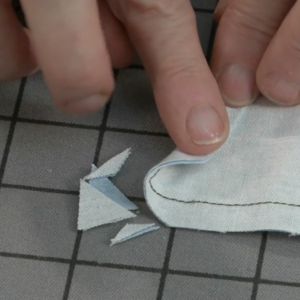 On a sheet of pattern paper, draw a line around the outer edge of all the pieces. 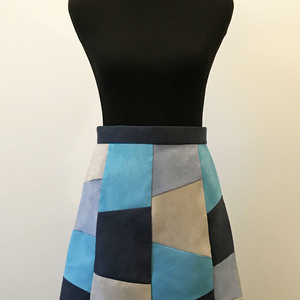 Remove pattern pieces and set the new pattern aside. 9. Complete the patterns. 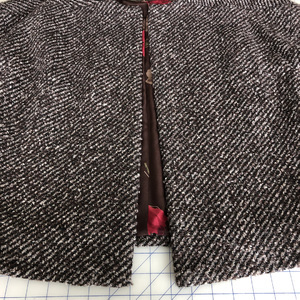 Add seam allowances to all three pieces and cut out. 10. 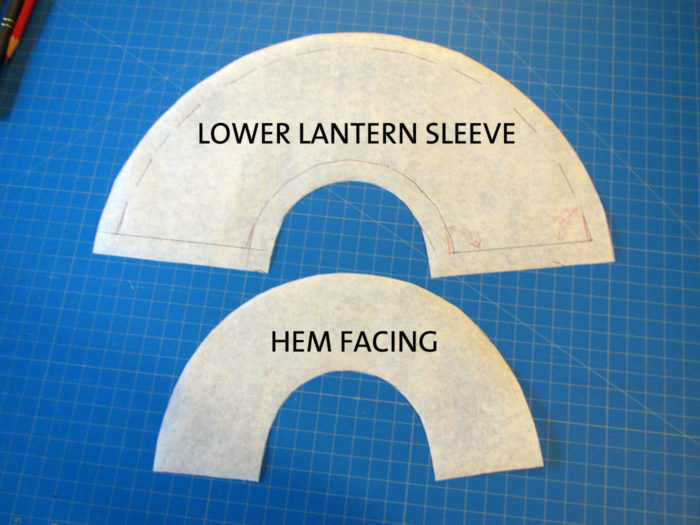 Make a hem facing. Trace the bottom 2 5/8 inches of the lower piece. This yields a 2-inch-wide facing.